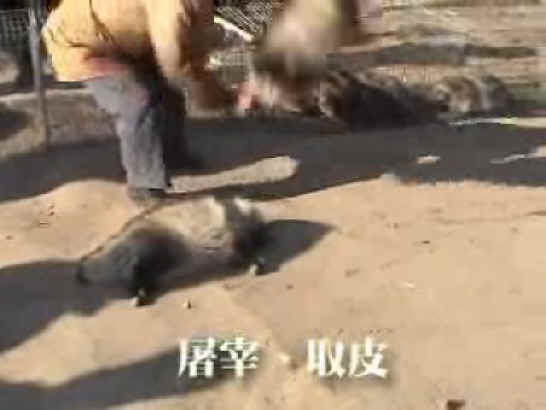 (Raccoon Dogs - Fur - 01) This, and the following stills were taken from Chinese video that exposes the unbelievable cruelty inflicted upon raccoon dogs. 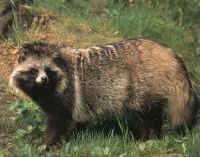 In the foreground is a severely injured, but still living raccoon dog. In the background a man is in the process of violently slamming another raccoon dog to the ground. Their chilling screams can be heard like a shrill horn that penetrates to the depths of any compassionate person's soul.